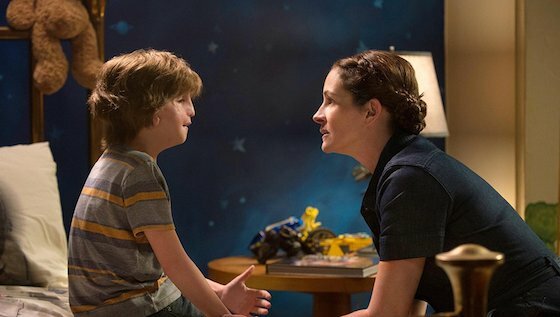 It can’t be easy to emote well under a face full of prosthetics, but Jacob Tremblay does a great job doing just that in Wonder. 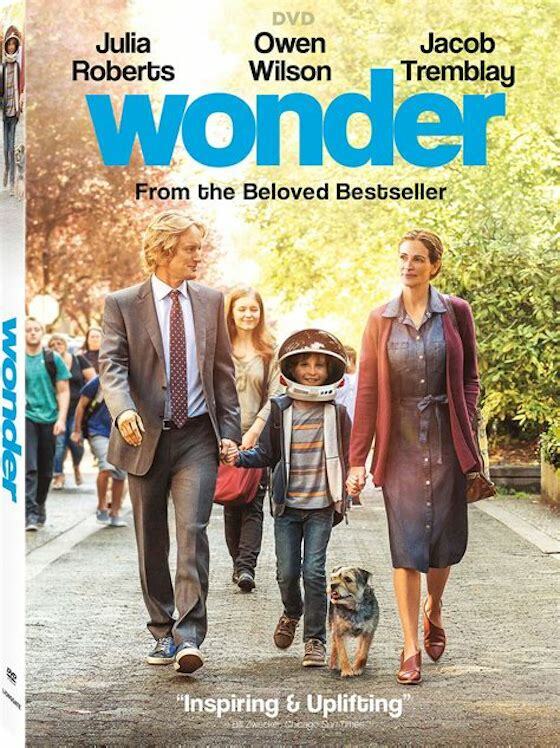 Based on the bestselling children’s novel by R. J. Palacio, Wonder tells the story of 10-year-old August “Auggie” Pullman. In many ways, Auggie’s like a typical kid: he loves Star Wars, Halloween and his dog, Daisy. 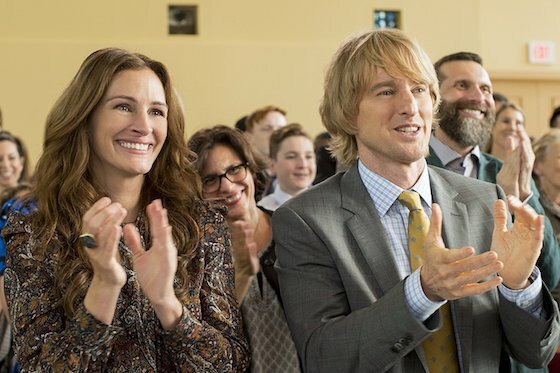 He lives in a New York brownstone with his loving parents, Isabel (Julia Roberts) and Nate (Owen Wilson), and older sister Via (Izabela Vidovic). But what sets Auggie apart are the facial differences he was born with that provoke ridicule and social ostracism from his peers. The problems really start when he enters mainstream school for the first time, after his mother homeschooled him up until fifth grade. His experience of middle school is painful, much more so than for other kids. His classmates stare, snicker and whisper. They joke that Auggie has “the plague” and one bully passes him hateful notes, calling him Freddy Krueger and worse. There are exceptions: he befriends Summer and Jack, but his friendship with Jack is tested in an agonizing way. "a heartwarming, poignant drama with strong performances from its precocious child actors as well as Wilson and Roberts." “Auggie, not everything in the world is about you,” his sister tells him. As if to drive this point home, the movie changes perspective repeatedly. It begins from Auggie’s point of view and then shifts to that of Via, Jack and Via’s friend Miranda. This helps to explain their motivations and lets us empathize with other people. Via especially is sympathetic as a daughter who’s constantly overlooked in favor of her special needs brother. Even her one night alone with Mom gets interrupted by Auggie’s crisis on Halloween. Izabela Vidovic perfectly expresses her mixed emotions of love for Auggie and resentment over her own secondary status. Surprisingly, the movie never touches on the important topic of money. Somehow the family got by on only one income for years as Isabel homeschooled Auggie, yet we don’t even find out how Nate earns a living. How could they afford Auggie’s 27 surgeries and, later, his private school tuition? In an otherwise believable movie, the fact that the family doesn’t seem financially burdened by Auggie’s condition is unrealistic. But that’s a minor quibble. Overall, Wonder is a heartwarming, poignant drama with strong performances from its precocious child actors as well as Wilson and Roberts. Its anti-bullying messages of compassion and acceptance make it recommended viewing for grade schoolers. 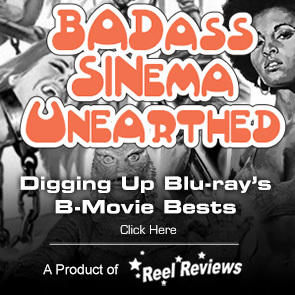 But people of all ages will enjoy this excellent film that lives up to its name. MPAA Rating: PG for thematic elements including bullying, and some mild language. Tagline: Auggie Pullman will change your world. Memorable Movie Quote: "You can't blend in when you were born to stand out." Synopsis: Auggie Pullman suffers from a severe facial deformity that has prevented him from attending a regular school. However, he is set to start a traditional school for the start of his fifth grade year. As his teachers and peers struggle to accept hum, Auggie teaches them that he was born to make a difference. He doesn't let his deformity define who he is and who will become. His attitude and zest for life teaches others about acceptance and the uniqueness of every individual. Audio Commentary with Stephen Chbosky and R. J. Palacio. The film-length commentary with the director and author is a little too self-congratulatory at times, but it does give lots of insight into the movie’s creation; “Brand New Eyes” Music Video; Wonder Soundtrack Behind-the-Scenes Featurette; Theatrical Trailers—Lionsgate.